With hybrid barley now accounting for around 34% of the UK winter feed barley area, the addition of two new high-yielding hybrid barleys to the AHDB Recommended List for 2019 will further extend growers’ choice of hybrids to suit individual farm situations, says breeder Syngenta. The new feed barley hybrids, SY Kingsbarn and SY Baracooda, are the latest to be recommended from the Syngenta Hyvido breeding programme, says Syngenta seeds marketing manager, Mark Bullen. This programme has produced hybrids delivering higher yields than conventional barley, as well as other benefits such as vigorous growth for greater black-grass suppression, he adds. “The key point about SY Kingsbarn,” says Mark Bullen, “is that it has produced higher yields than the UK’s current leading Hyvido hybrid, Bazooka. Kingsbarn has also delivered highly consistent yields over the last three very different growing seasons, as a percentage of control varieties. “All in all, SY Kingsbarn looks set to offer a dependable option especially in the East and West. We see it as being suitable for new hybrid barley growers, or for growers who may want to start looking at a step up from Bazooka without compromising on good agronomic characteristics,” he adds. The second newcomer hybrid, SY Baracooda, offers a similar UK treated yield to current top yielding variety, Belmont, plus good specific weight, says Mark Bullen, but its standout benefits include an exceptionally high untreated yield, very robust mildew resistance, and a very high yield in the West. “SY Baracooda also offers similarly tall straw to Bazooka and a similar resistance profile against diseases,” adds Mr Bullen. “Among the growers it might appeal to are mixed arable and livestock farmers looking for good grain output and quality but also good straw length,” he adds. Both the new hybrids have resistance to Barley Yellow Mosaic virus, says Mr Bullen. 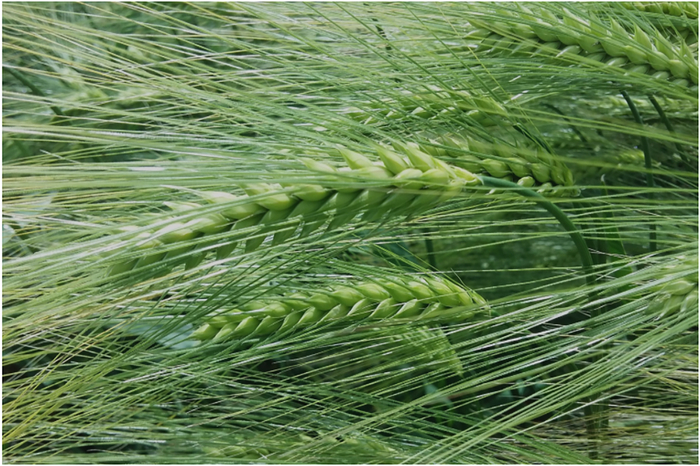 Hybrid barley seed is produced by crossing genetically dissimilar parent plants together, resulting in hybrid vigour, which in turn is associated with more resilient and competitive growth and higher grain output, he adds.